Magnum Photography was gearing up to celebrate their 75th Anniversary. They were looking to raise awareness and interest in their product offerings by showcasing hundreds of their most impressive photographs . 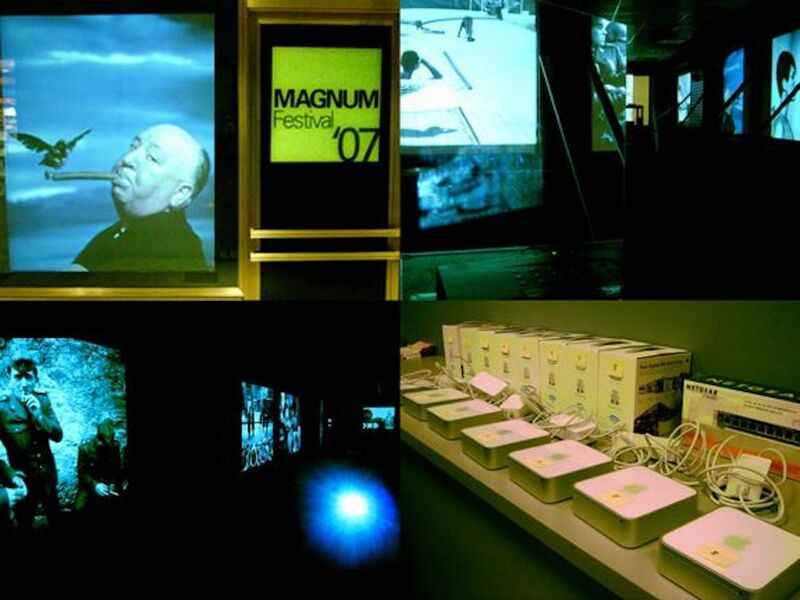 To celebrate Magnum Photography’s 75th Anniversary, our team created a 10-screen slideshow installation on Rockefeller Center’s Concourse Level in 2007. The slideshow contained hundreds of photographs from Magnum’s impressive archives and was viewed by an estimated million people. We configured ten (10) custom Macintosh Mini’s to display a synchronized slideshow of selected Magnum Photography pieces. Given a large task with a limited budget and timeframe, we quickly developed a cohesive solution that went up quickly, performed reliably and was a huge success for the entire Magnum Photography team to celebrate their anniversary.